As the ecosystem is built and grows, we want to make sure we all speak the same language when it comes to identity verification and ecosystem members. This is a continuously updated list, so come back here if you find terms you don’t understand and can’t find on the web. While we do our best to keep it complete, suggestions are welcome. The cryptographic proof that an ID Validator issues on a credential and is persistent onto a public ledger. Attestations can be valid or revoked. The Civic whitepaper outlines the company’s goal of designing an on-demand, secure, and low-cost ecosystem for identity verification. A statement about an entity or individual. A claim itself does not hold any validity statement. Only when claims are attested to as part of a credential by a validator can they be associated with any kind of trust. 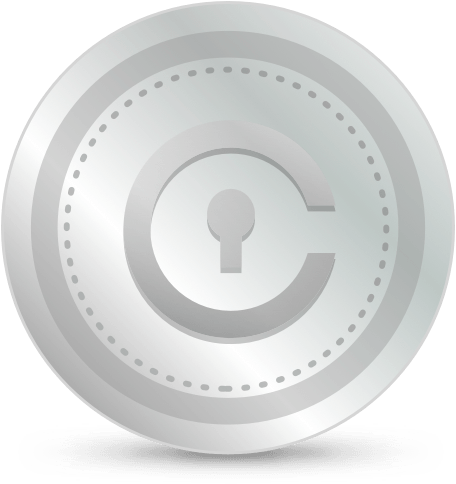 cred is the smallest subdivision of the CVC token. 1 cred = 10^-8 CVC. A toolkit that enables Users to participate in the identity verification marketplace on Identity.com. It can be integrated into 3rd party mobile applications. A globally unique identifier that does not require a centralized registration authority because it is registered with distributed ledger technology or other decentralized networks. A static request from an Identity Requestor to a User describing the attestation needs with restrictions imposed on the Identity Validator. Creation of a scope request corresponds to the generation of a new QR code. Data that a User transmits to an Identity Validator so that it is convinced sufficiently to issue a verifiable credential. Businesses or organizations requesting verifiable credentials from a user in order to authenticate them. They gain assurance of the accuracy of the personally identifiable information (PII) by receiving an attestation issued by an attestor that matches the PII that the user sends them. Businesses or organizations that store authenticated personally identifiable information (PII). Identity Validator partners facilitate the verification and authentication of PII in the Identity.com ecosystem. They may be used by attestors to assist them in verifying that PII is correct for a specific user. The process of ensuring that identity data is associated with a real-world individual. A blockchain-based, decentralized marketplace connecting identity requesters, identity validators, and users to reusable identity verification services. The ecosystem is powered by Civic tokens (CVCs). Due diligence activities that financial institutions and other regulated companies must perform to ascertain relevant information from their clients for the purpose of doing business with them. A method by which a User can verify that he or she meets certain criteria without disclosing underlying personal data. Payment to an Identity Validator for issuing an attestation that was successfully presented by the User through the Credential Wallet and validated by the Requester. A proof is associated with a verifiable credential and enables an inspector to verify a credential. It defines a cryptographic signature schema and references an attestation on a public ledger. Smart contracts ensure that CVC tokens are correctly exchanged when attestations are created or reused, thus, protecting the integrity of the marketplace. Ecosystem participants can implement their own rules for how their attestations are used along with associated token payments. A model predicated on game theory which incentivizes appropriate behaviors while minimizing the risks of any attack vectors. The model uses a staking mechanism to ensure compliance and, given certain assumptions on the rationality of actors involved should assure the good behavior of actors. A set of rules and regulations that govern the Identity.com economy with CVCs. Creating a separate economy enables the ecosystem to protect its members from external pricing dynamics and enables the economy to control the inflation rate. In the ecosystem, it is an individual that is the subject of personally identifiable information (PII). A credential with an associated proof. Every consumer of a verifiable credential must be able to verify those independently. Holders of credentials (aka. mobile phones) are creating “verifiable credentials” for Identity Requesters. A tamper-evident presentation that is encoded such that authorship of the data may be trusted after a process of cryptographic verification. Certain types of verifiable presentations may contain data that is synthesized from, but do not contain, the original verifiable credentials (e.g. zero-knowledge proofs).